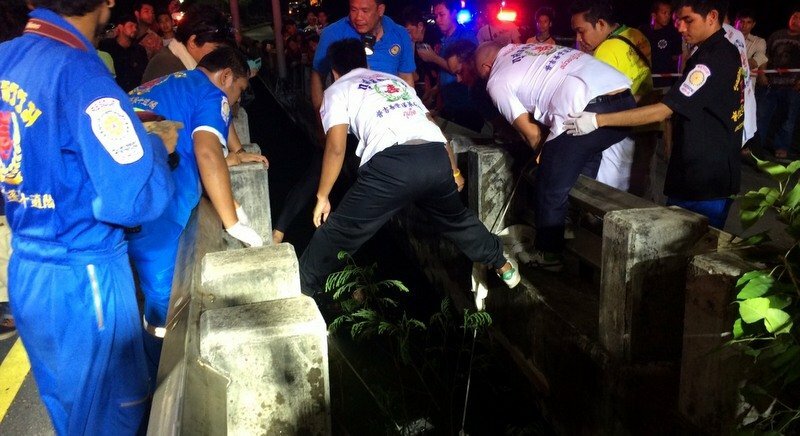 PHUKET: A Myanmar migrant worker is dead and his female companion is in intensive care after the motorbike they were riding crashed into a bridge barrier and plunged into a canal near Sanam Luang (Rama IX Park) in Wichit last night (Dec 20). Divers took more than 20 minutes to recover the body of the man, named by police as Zin Kyaw Kyaw Lat Jaw Lar, 32, who they reported was “a migrant worker”. 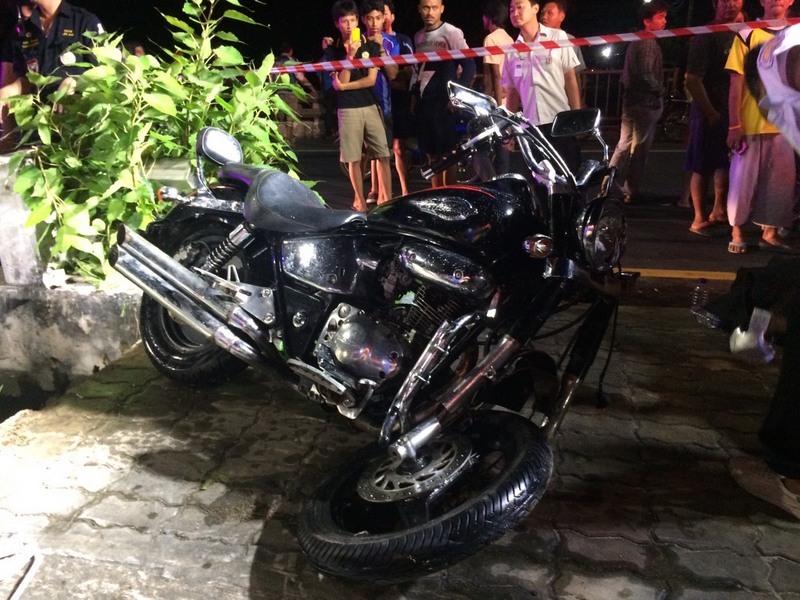 Mr Yaw’s body was pinned under the motorbike at a depth of four metres in the canal. The woman who was on the motorbike. Ms Thin Thin Maw, 37, remains in intensive care at Vachira Phuket Hospital in Phuket Town. “People in the area found her floating in the canal under the bridge and pulled her ashore,” said Lt Jaran Lempan of the Wichit Police. 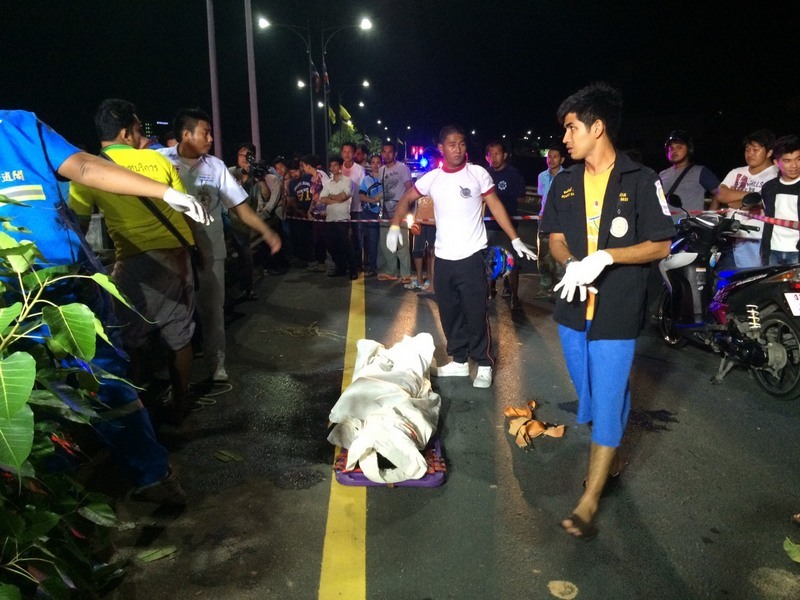 “We found four shopping bags from Big C at the scene. We believe they were returning from shopping when Mr Yaw lost control of his Honda Steed motorbike,” he added. “We believe Mr Yaw was speeding at the time of the accident, causing him to lose control on the curve, crash into bridge and fall into the canal,” he added. Police have been unable to question Ms Maw as she is still in the ICU. “We will do so as soon as she is fit to answer questions,” Lt Jaran said. The body of Mr Yaw was taken to Vachira Hospital morgue.